Welcome to Dreamland, an old abandoned amusement park! It is full of dangerous traps and entertainment not suitable for children. And it also contains a terrible secret... There is an evil dwarf who lives here, brightens up his miserable days by collecting the souls of those who dare enter the neglected park. And he's got a plan on how to get your soul. Only you can rid the world from his presence, but it won't be easy. His traps and tests are waiting for you. You'll need to make your way around the park looking for useful things in all the old rides. You'll have to opens a number of locks, outsmart the swindlers in the shell game, fire the cannon on the Pirate Ship and blast off to the Moon. There's no turning back. You need to get to the safe where the evil dwarf keeps his contracts for all the lost souls. Free Game features: - Mysterious storyline; - Great mix of hidden object searches and mini-games; - Spellbinding atmosphere; - Amazing graphics and sound. 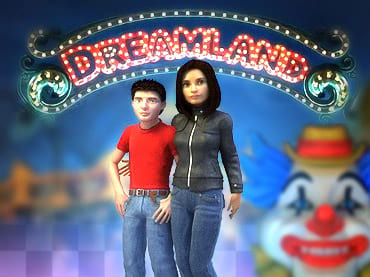 If you have questions about Dreamland game, please contact us using this form.